JPAR Franchising, LLC (Franchising Division) has entered into a Multiple Location Expansion Agreement with Andy Brumbaugh of Magnolia Group SC, LLC to expand the brand’s presence across multiple markets within the Palmetto State to operate as JP & Associates REALTORS® Magnolia Group. The first office will open in early January 2019 and will be located in Lexington, SC. The second location is slated for a June 2019 opening, with others scheduled to open in the near future. This is one of many upcoming franchise additions for the company, with the first franchisee opening its doors soon in Covington, LA. JP And Associates REALTORS® (JPAR) is one of the top 100 real estate brokerages in the US. A full-service transaction fee based real estate brokerage, it has been recognized as one of the top 10 fastest growing brokerages in the country by REAL TRENDS as well as also being a back to back INC5000 nominee. It operates multiple offices across Texas, Louisiana, South Carolina and Florida, expanding nationwide, offering franchising opportunities for entrepreneurial real estate professionals. JP & Associates REALTORS® is pleased to announce our newest franchise, JP & Associates REALTORS® Gulf South located in Covington, LA. Jim and Stacie Doyle are the Owner Operators of the franchise which is located just North of New Orleans, up Lake Pontchartrain in Southeast Louisiana. Frank Gay, CEO of JPAR Franchising, LLC stated, “We are pleased to Welcome Jim, Stacie and their brilliant team to JPAR as our newest Franchisees. Their vision for success in Louisiana perfectly aligns with the tools and support JPAR provides as a Franchisor. What makes our Culture of Productivity and Service so special is that we all live and breathe by our trademark of Exceeding Expectations™”. This is the first of many upcoming franchise additions for the company as well as the first entry into Louisiana. 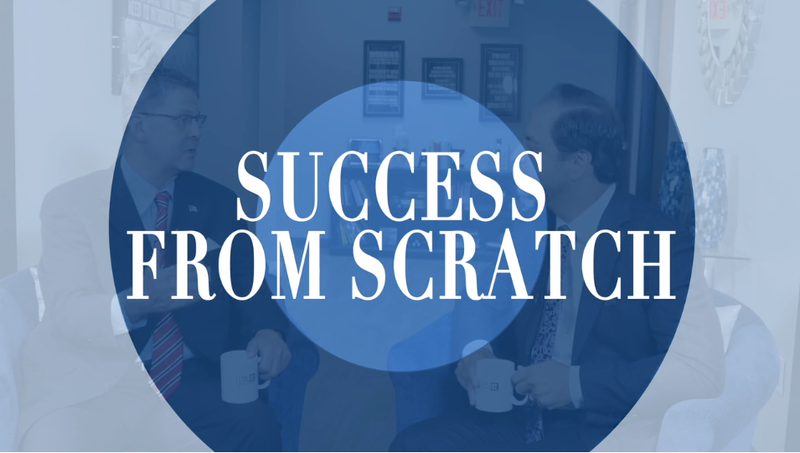 Greg Cunningham, Dallas, TX is my special guest today on Success from Scratch. Greg shares how his life long dream of being a soldier – an Army Ranger – translates to being a high performing real estate professional. He shares how he had many tools to make the transition yet he was applying them in the wrong way. Through the help of a mentor, coach and friends he has learned to create and serve over 40 families with buying, selling or investing in real estate annually. Greg also shares how he structures his time, delegates work flow and collaborates with his direct and extended team members. Learn more by watching NOW.